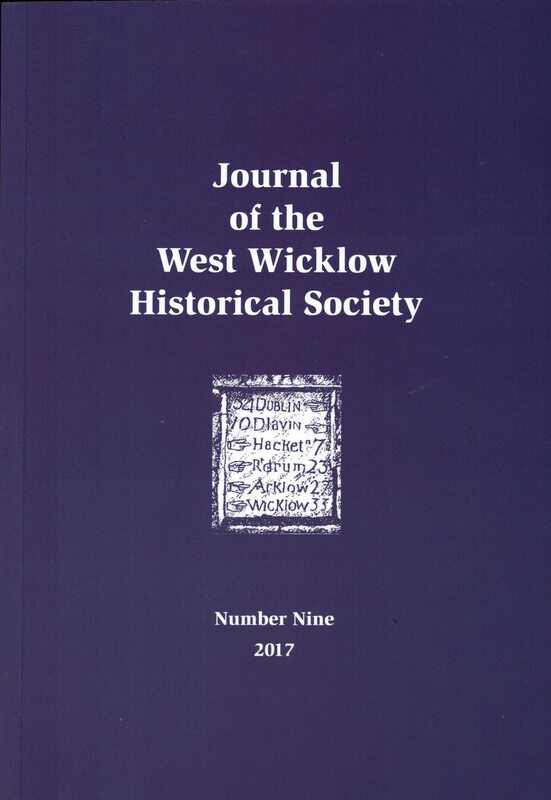 About: The history of the Dublin-Blessington Tramway as told by two eminent railway enthusiasts and published as Number 20 in a series of ‘Locomotion Papers’. This must be regarded as the definitive history of the line as the authors have written extensively on the whole subject of railways in Ireland. Contents: Preface – Chapter I – Chapter II: Rolling Stock – Chapter III: Description of the Line – Chapter IV: The 1911 Scheme – Chapter V: General Matters – Chapter VI: Anecdotes – Chapter VII: The Closing Years. Extra #3: Includes eight pages of photographs and a map. Full title: The Dublin and Blessington Steam Tram: a Pictorial and Social History. 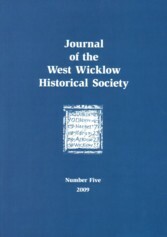 Publisher / Place of Publication: South Dublin Libraries / Local Studies Section, County Library, Town Centre, Tallaght, Dublin 24. About: A popular history of the Dublin to Blessington Tram told more in pictures than words. About two-thirds of the book is made up of historical photographs and illustrations which are shown to very good effect on the glossy paper used in the book’s production. 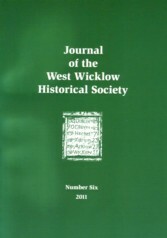 Contents: Mayor’s introduction – Acknowledgements – Transport in the 19th century – Origins of the Dublin to Blessington Steam Tram – Accidents – Extension to Poulaphuca – Licensing Prosecution – Maintenance of the trams and line – War, rebellion and civil strife – Civil war – St. Brigid’s Sanitorium, Crooksling – Demise of the tram – Memories of the tram – Popular verse and local lore. Extra #3: Contains photographs, maps and period advertisements. Publisher / Place of Publication: Old Dublin Society / City Assembly House, 58 South William Street, Dublin 2. 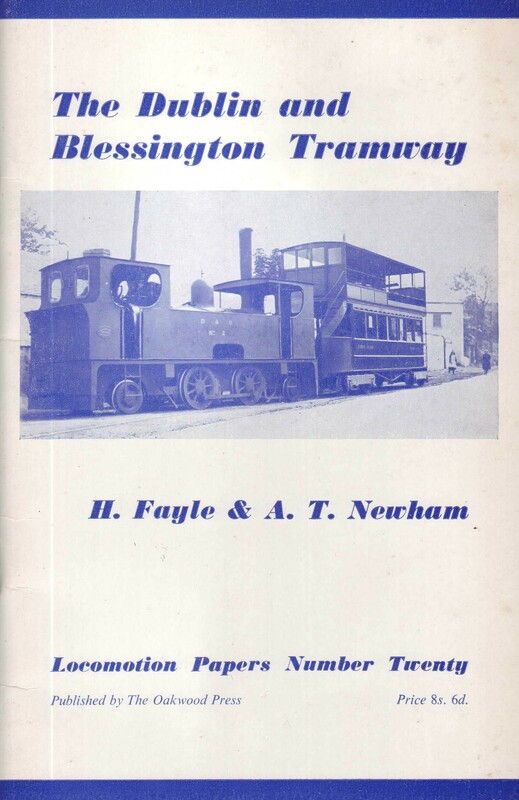 About: A history of the Blessington Tram Service, written by a CIE staff member. This was his first presentation to members of the Old Dublin Society.